Nicola has been inspired to enter events. Nicola Shaw, 47, from Ashbourne, works at St Oswald's Hospital. 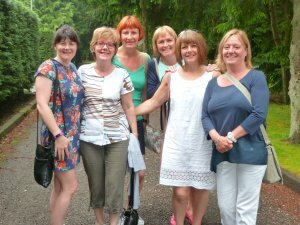 She and other members of her team used the walking Workplace Challenge (2016) in May to boost their activity. "I wear a pedometer when I walk and walk to work every day, as well as at lunchtimes and the walking challenge was one that went well in our office, with five of us doing it. "We all get each other to do it and help each other out and we don't feel guilty about taking time out of the day to get some exercise in, with work very encouraging about doing things. Nicola and her colleagues like to keep challenging themselves. "We started it off at the office and it has carried on for a good while now. I'm in outpatients but we have people from a number of different directorates taking part and work as one big team. 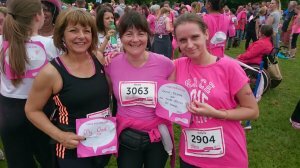 "We do all kinds of different things to get our points and there are a couple of people who have logged points from their training for a 10k and half marathon. "A lot do fitness classes and circuit training as well as pilates, yoga and insanity. One lady started going out walking in the evening because she has young children and struggles to find the time before that and finds it useful to log her points. The Workplace Challenge brings healthy competition to St Oswald's. Another lady drives to work because she lives further away but then makes a point of going on a proper walk at lunch time incorporating a hard route and some hills. "I'm a mum of two very active boys so my walking helps me keep fit when I haven't got a lot of time to spare. 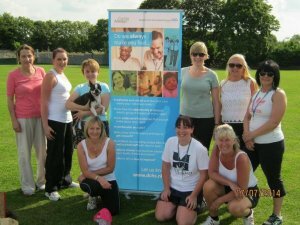 "A couple of years ago we had people in to give taster sessions on Nordic walking, personal training and all that kind of thing, which was really good to get everyone thinking about what they can do to stay active. To find out more about the Workplace Challenge or to sign up, click here.